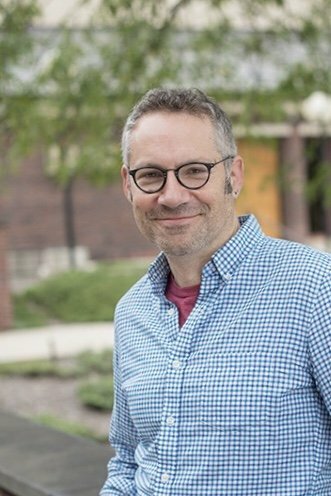 Daniel Elihu Kramer became Producing Artistic Director of Chester Theatre Company in fall of 2015, after four years as Associate Artistic Director, and produced his first season in 2016. At CTC, he has directed shows such as Every Brilliant Thing, Sister Play, The Turn of the Screw, Tryst, The Amish Project, and Blink. In 2011, CTC produced his play Pride@Prejudice, and in 2016 CTC premiered his play My Jane. (CTC’s production of Pride@Prejudice transferred to Capital Rep in 2012.) He works nationally as a theatre director and playwright, and as a film director. He is chair of the theatre department and a member of the film studies program at Smith College. Daniel’s CTC productions of The Turn of the Screw and The Amish Project were named by the Berkshire Eagle as among the Best Plays of their respective years, and he was named one of each season’s Notable Directors. He has received the Elliot Norton Award for Outstanding Production for A Midsummer Night’s Dream at Boston Theatre Works, and his production of The Pillowman at the Contemporary American Theatre Company received awards for Best Production and Best Direction. His first feature film, Kitchen Hamlet, a contemporary setting of Shakespeare’s Hamlet, won multiple awards as an official selection at film festivals throughout the U.S. His short film Recently, Long Ago premiered in 2015 at the Palm Springs International Short Film Festival. Kramer’s play Coyote Tales, based on traditional Native American stories, is published by Samuel French, and has been produced by numerous theatre companies. Pride@Prejudice is published by Playscripts. His adaptations of Babar and of James Thurber’s Many Moons were commissioned and produced by Phoenix Theatre Company. His play Love Suicide was workshopped in a residency at Cleveland Public Theatre and at Boston Theatre Works. He was a visiting artist at the Wexner Center for the Arts, which supported the editing of Kitchen Hamlet. Kramer holds an MFA in Directing from Yale School of Drama and a BA from Haverford College, and is a member of the Society for Stage Directors and Choreographers (SDC) and the Dramatists Guild. He was a Founding Artistic Director of Salt Lake Shakespeare, Associate Artistic Director of Spiral Stage, and assistant to the Artistic Director of Circle Repertory Theatre. Kramer was also drama editor for the Kenyon Review. As a director, dramaturg, and musician, he has worked with playwrights including Bekah Brunstetter, Bill Cain, Julia Cho, Wendy MacLeod, Eric Henry Sanders, Julian Sheppard, and Elizabeth Wong. Previous teaching includes Kenyon College (where he was chair of Dance and Theatre), Bowdoin College, and Fordham University at Lincoln Center.